A lot of classifications are often made about which countries or cities are best for living. We offer a little more non-standard version – which are the best places to live if you’re a millionaire, who does not go there to seek work or to develop business, but just to live, to have fun and spend money. This place is located on the east coast of the North Island of New Zealand. The area is very idyllic and the largest city – Auckland is distanced about 180 kilometers to the south. There is nothing easier than to find some idyllic beach just for you. The coastline is highly indented. The area is covered with thick forests. A few hundred meters from the shore there are few lonely, uninhabited islands. The place is very well protected from the large ocean waves and this makes it even more attractive. This is ideal place for anyone seeking solitude and privacy. Do not forget also the warm subtropical climate, which allows you to bathe in the sea from November to April. This is perhaps the most striking place in Europe. It has a wonderful subtropical Mediterranean climate. The beach season lasts from April to November. The local culture is so rich that it could not be described in words. This is the island, where the Minoan civilization has flourished. For this island is said to be one of the most saturated with history, places in Greece, respectively, and in the world. To live here is a mixture of physical and emotional feeling. Here you will find a lot of sun, clear and limpid sea, amazing history, always fresh seafood, fresh fruits and vegetables, local wines and countless possibilities for entertainment. This is one of the most interesting places in the world. The gorgeous Hawaiian beaches, the covered with clouds volcano and dense, unspoiled jungle offer a life filled with strong experience. Maui is one of the best places for surfing in the world. For the lovers of diving also has many things, worth to be seen. The local waters are clear and limpid. Because of this fact you can fully enjoy to the wonderful coral reefs. This is indeed an unique place to live, but it is better to have plenty of money to live here – it’s still Hawaii. Here you will find some of the most expensive and luxurious villas on the planet. The reason for high prices is not another, but the nature, which seems to be gone from the cover of the magazines. The sand is snow white, the coral lagoon water is clear and limpid as in a swimming pool, in the palm groves one can felt the scent of the tropical shrubs, trees and flowers. This place is just like the Garden of Eden. With certainly there is not greater luxury than the paradise nature of this tropical island. This is one of the oldest tourist destinations in the world and with currently is among the most expensive and attractive places to live in Europe. The Riviera on the old continent is the same thing what is California in America. Sun, palm trees, Hollywood stars, luxury villas, restaurants, hotels, casinos and so on. Everywhere you can see really great style. If you are admirer of the exquisite, the French Riviera is your place. Where? Maybe Nice? Or St. Tropez? Cannes? It does not matter – at all locations there is more luxury than an ordinary man can bear. If you wish to buy a property in an attractive location in Southern California is certainly one of the most exciting places in the world. Even if you’ve never been there, there is a great chance to see many places that you know from the movies and the television. San Diego with certainly is better to live in comparison with Los Angeles, because the town is smaller, more southern and more picturesque as a whole. This city is very different from the colossal LA. Sun, palm trees, luxury villas, joggers on the promenade, beach volleyball players, surfers. This place carries the spirit of American dream. California is much more than a place to reside. 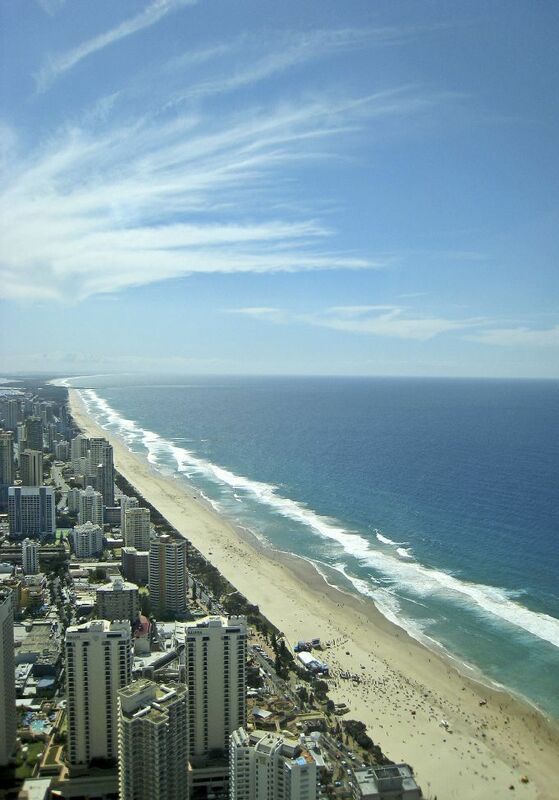 We can call Gold Coast the Australian Riviera. This is a coastline of more than 30 kilometers. The sand is fine, golden, and the villas and hotels along the coast are amazing. If you live here you will enjoy peace and quiet, clean environment, endless opportunities for entertainment as well as sport and outdoor activities because of the mild winter. 21 – 22°C during the coldest months is a nice temperature, suitable for all kinds of outdoor activities. This place is suitable for all people, because there’s something for everyone. The Virgin Islands are one of the most beautiful places in the New World. In addition to the lovely nature, they are known as a center for people with good financial opportunities. Here everything is immersed in luxury. The nature is like from a postcard – palm trees, coral reefs, white sand. Everything radiates romance, tenderness and exoticism. If you buy one luxury villa here, the only thing that will disturb your quiet and calmness are the crowds of tourists who arrive sometimes with the large cruise ships. But when the cruise ship leaves for its next destination you are again in your own paradise. Thailand is a very beautiful country and the island of Phuket is the most beautiful and romantic spot there. In the recent years the country is particularly popular for the purchase of properties among wealthy Europeans, mainly Germans and Britons. Besides the nature, represented by the traditional white beaches and palm groves, this is a good place for those, who need culture. The Thai culture, cuisine and traditions are very rich interesting, but Thais are also surprisingly very kind and polite with the tourists and foreigners living there. It is situated in the heart of French Polynesia. It is located not far from the most expensive resort island on the planet – Bora-Bora. Tahiti is a real paradise for the millionaires. Many wealthy Americans live or spend the winter here. For them this piece of the paradise offers warmth, sun, exotic, quietness and a chance to break away from the everyday stress. Tahiti has magnificent beaches and mountains that are covered with dense, tropical forests.